made shells less appealing to me for decorating. But when we went to the beach we spent hours walking and picking up as many shells as we could carry in our beach buckets. Always bringing a handful or two home with us. I have no idea what became of them after we got home. Hopefully they are still in the sand of a backyard somewhere. Now as time as past, every once in a while when I'd like a reminder of my love for the water, I bring out some beautiful shells to enjoy for the summer, some old and some newer. The ones that I actually collected myself are all shades of gray, whites and beige that Sweet Hubby I found while walking for hours on a lovely beach vacation. I was collecting the colors for a bedroom redo. Which still hasn't been done. But I have the shells to remind me. 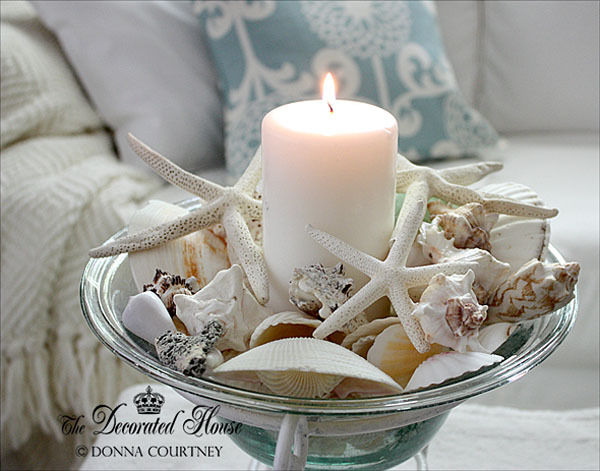 Shells that we've collected are a perfect memento from those special times. Love how you've used them with the candle in that wonderful piece. so pretty!! 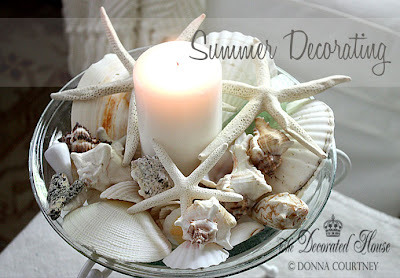 Simply lovely and it is true you can go over board with shells. 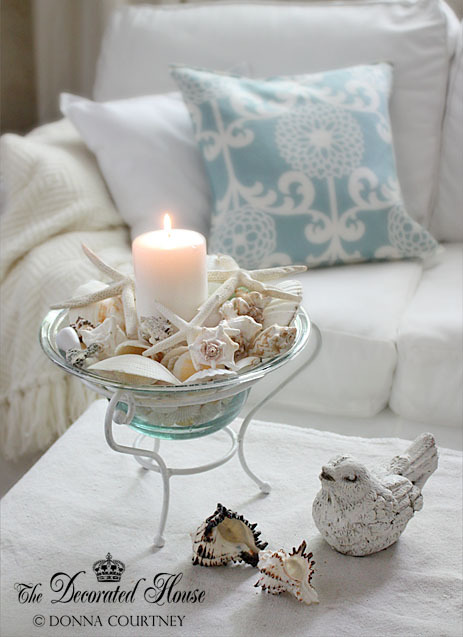 Being a "land locked" Midwesterner, I don't get excited about shells in my home decor; however your subtle exquisite vignette certainly entices me, dear friend! So~o~o cool and tranquil! 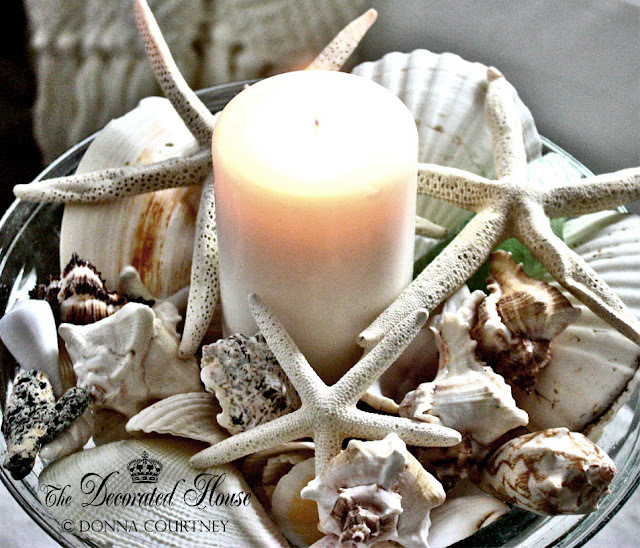 I love the shells with the candles!!! Looks so great!! Perfect for summer!! I just tried to leave you a comment but it would work. Thank you ladies for stopping by!